Wedding planning is a big task. It is very likely that you may forget something along the way… like baby brain, only for weddings. We totally understand and we have your back covered. Sometimes the small things (and the niggly specifics) make all difference. So here is a list of 10 most commonly forgotten details whilst wedding planning. As scary as it may seem, it is very easy for something to not go to plan on your wedding. Aside from taking 10 deep breaths, an “emergency kit” is a necessity to save you from disaster. Your emergency kit should be filled with all of the little things that you never know you need until you need them. Anything from your asthma inhaler, to a hair tie and hair clips. Hairspray and toothpaste and brush. Sewing needles in case a button decides to not cooperate, even heel pads. When you are overwhelmed with emotion it is always handy to have tissues on hand, and deodorant. Keep this kit on hand and keep your mind at bay. Now this one may seem obvious, but trust us when we say this has happened plenty of times before. The dress is one of the most important things in a wedding… and some get a little too excited. They slip into the garment, zip it up, lace it together and then realise the dreaded bathroom. Then the reserve has to happen, unlace, unzip, take-off etc. Then the same again zip up, lace up. You can see, this is a long process. It was a long process to write, I can’t imagine having to do this on my wedding day and I wouldn’t wish you it upon you either. So in conclusion, do us all a favour and use the bathroom before you zip up your dress. A busy wedding day can bring many things that you may forget, including to stay hydrated! The best thing you can do for yourself is to eat a big breakfast and drink a big glass of water. Throughout your day make sure that you stay replenished with snacks and water to avoid headaches and hunger. Putting someone ‘in charge’ of keeping you refreshed and refilled. One of your bridesmaids maybe, you would be surprised how easy it is to forget! I am sure your shoes are amazing, but they may be a little uncomfortable. If this is the case then having a pair of comfy (but still cute) extra pair of shoes as a Plan B may be a life-saver. There is nothing wrong with your wedding heels being different to your dancing flats. A wedding is not a one-person job. It takes a group of hard-working, dedicated people to pull of your special day. Among everyone, your vendors also deserve recognition. They are also working hard to create your perfect day. Sorting out your payment a week or so before your wedding means you do not have to worry about that at or after the wedding. Pay digitally or organise cash to ease your mind. Side note – tell your vendors thank you and make sure they get fed! Weddings are emotional for most people. With adrenalin and emotions running high your vows may be a little difficult to get out. As they say, practice makes perfect. If you are saying your own vows, two weeks before the wedding it is best to start going through them, even if they are not finished. Familiarising your self with your words may prevent you choking on your words. 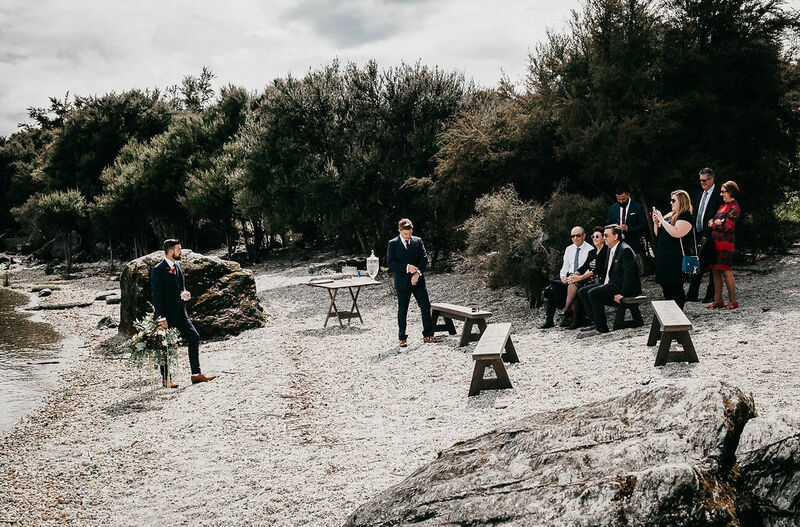 Have a chat to your partner about the overall vibe of their vows can allow you both to be on the same page and make sure it has a similar style and tone. The same can go for speeches. Practise your thank yous and check in on others if they are also saying a few words. This one isn’t exactly a reminder, more like a precious idea. The whole reason you are planning this wedding is to vow you love and time to your partner. A lovely idea to incorporate into your wedding planning plans is a little love note. Maybe you used to write notes when you were in high school together or this is new. A little something to place on his suit or your dress to remind your significant other about your love for them and your excitement may just be the cherry on top.